As the tide was rushing out of Sanibel’s Blind Pass channel, there were little pockets of semi-buried shells in the sand along the shoreline covered by only 3 inches of water. That’s where the treasures were last night just before sunset. My fave of the evening was that beautiful baby BITTERSWEET in the ARK ing the photo above. Love it! Karen and Mark (New Jersey) discovered some of those shell pockets too. They were happy to find some empty shell treasures of their own. This was an even more exciting find… a nice size live healthy LIGHTNING WHELK that I put back in the water exactly how I found it. And to top it all off there was a shellsational sunset to end a great day. We were at Bowman Beach last week and found lots of whole scallops, with residents inside, that were being washed up onto the shore. Apparently they weren’t too happy about being out of the water–they were snapping their shells together–looked like they were talking! I threw as many as I could back into the water. It was just something that I’d never seen before! Going to take a video next time! Wow, how beautiful Pam! Thanks! So nice meeting you Pam…what a beautiful sunset that night!! I want to shell at Blindpass sometime this week and also see the sunset at Captiva. We are staying at The Hurricane House. The problem I am having is being bitten over and over by noseeums. This is seriously impeding my shelling! Any advice? They seem to be worse at sunset. We went out earlier last Tuesday evening during an extremely low tide. There were literally hundreds of beautiful live olives making trails on the sandbar. It was a thrilling site! I just returned home from a 10 day vacation on beautiful Sanibel Island. I am still amazed at the fantastic sights nature has to offer. While sitting on the screened in porch of the condo we were staying in a Bobcat came strolling by ….stopped for a couple of minutes ….they continued on its way. It was only 10 ft away from me…. I was so shocked I just sat there like a statue. Wish I would have had my camera. Thank you so much for the regular updates on Sanibel Island. I check your website daily as it always brings a smile to my face. health reasons. I have shared our life and shelling with you and so enjoyed your pictures. Unfortunately the “Ponga” fishermen have really stripped the bays clean and there is almost nothing left to shell. SO NOW I REALLY DO RELY ON YOU TO SEND ME BEAUTIFUL PICTURES. Sanibel is still in my bucket list. Maybe one day. Yes, if there is no stiff breeze to keep them away, the noseeums are out & about and hungry just during the two hours surrounding sunset and sunrise. I don’t think they are out at all at any other times though. It is hard to avoid being bitten around sunset and sunrise, but you can try to protect yourself by wearing thin long pants and long-sleeved shirt, a cap and water shoes, and then use a good quality insect repellent on your face, neck, hands and ankles. Good luck, to you Janet. 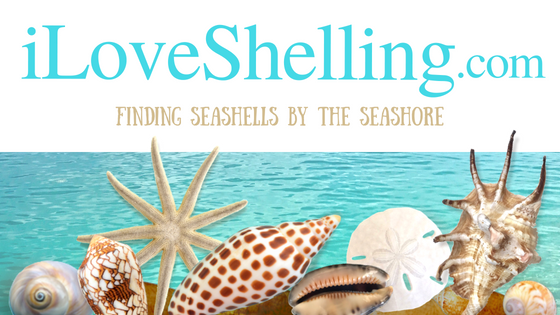 I’ll keep posting our shelling adventures here- so no worries.